So, I had a few bananas in my freezer, and I needed to make a little space….what better way to use up bananas than to make bread. Grease and flour two bread pans. Set aside. Using an electric mixer, combine butter, sugar, and honey. Mix on medium for about 5 minutes or until thoroughly combined. Add eggs. Mix until combined. Add bananas. Mix until combined. Sift flour, salt, and baking soda. Split batter evenly between the two pans. *I like to scrape the sugary, buttery goodness out of the bottom of the bowl after I’ve split the batter in the pans. I put big globs in each pan for a surprise pocket of the sugary goodness. To me, cornbread is one of those comfort foods. Especially right out of the oven…with melted butter dripping off. 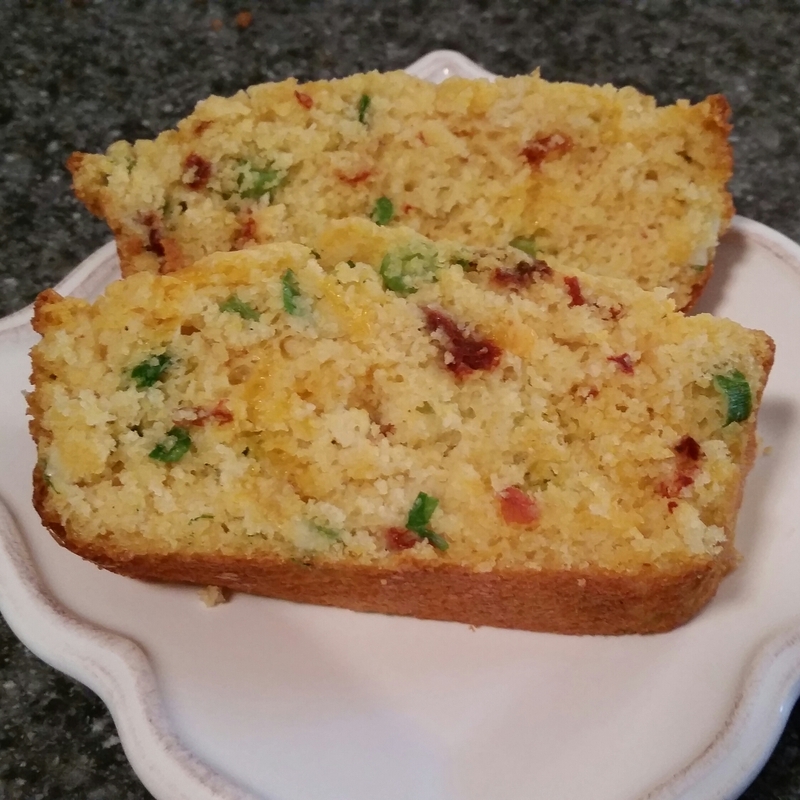 Here’s a cornbread recipe that takes cornbread to the next level….Bam! … may I introduce chipotle pepper and green onion. With each bite, a warm heat overtakes your mouth and lingers waiting for the next bite of corny goodness. Generously spray a 9 x 5 loaf pan with cooking spray. In large bowl, combine cornmeal, flour, baking powder, salt, and sugar. Stir to combine. Add melted butter, Chipotle peppers, green onions, and cheese to go the milk/egg mixture. Stir to combine. Bake 20 minutes or until toothpick inserted into center comes out clean.